Hello, Book lovers of the world!!! Happy New Year and welcome back to my newest book blog. 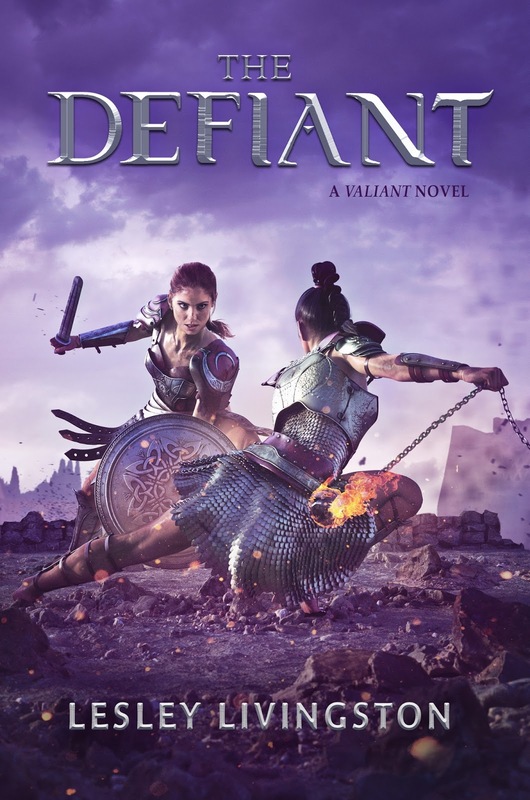 This Blog is about The Valiant by Lesley Livingston which originally came out February 14th, 2017. I have seen this book around for a while and have wanted to read it but I never got around to picking it up. So when Razorbill offered me the chance to read it for a review, I leap at it. So huge thank you to Razorbill for this book. Also Book two of the Valiant Series which is title The Defiant comes out on Jan23rd, 2018 and I will be picking that up. Now onto the summary and my thoughts on the book. This book is about a young girl name Fallon who is originally from a Celtic tribe. Rome and Caesar invade Fallon homeland when she is a little girl. They kidnapped her father which sends her sister Sorcha to war. In Fallon's land, the women fight as equals with the men, like the Amazon women. After Fallon's father is return, to their land, she learns that her sister died in the war. Years later Fallon is grown and now in love with Mael, except she wants to join the Tribe's Army first. Things will happen, Decisions will be made which could lead to Fallon's life being destroyed before it ever begins. Now in order to find out the rest, I suggest you go buy the book. Now to my final thoughts on the book. Fallon is a badass female gladiator which is described as an Amazon Celtic female. She is the main character in the book. She comes off as a naive teenager in every way. At the same time, she deserves credit for how she handles the things thrown at her. I find her naive because her elders refuse to let her grow up, they want to protect her from everything. This hinders Fallon growth and experience. I love Fallon though because she fights for what she believes in. She goes full force when she believes in something too. She reminds me of Rey from Star Wars a lot. Next, we have the characters of Sorcha, Fallon's Sister. Sorcha impacts all of Fallon's decisions during this book, especially at the end in a very heavy way. Of course, we also get to meet three of Fallon's possible love interest's such as Mael, his brother Aeddan, and Caius. Mael and Aeddan are both from another Celtic Tribe while Caius is a Roman Soldier. I would just like to say at this moment I am very much team Caius. We also at the end of the book meet Cleopatra and Caesar, Plus many more characters. As this book goes on we learn the reasons, behind Fallon's father telling her, why her Sister Sorcha is dead. 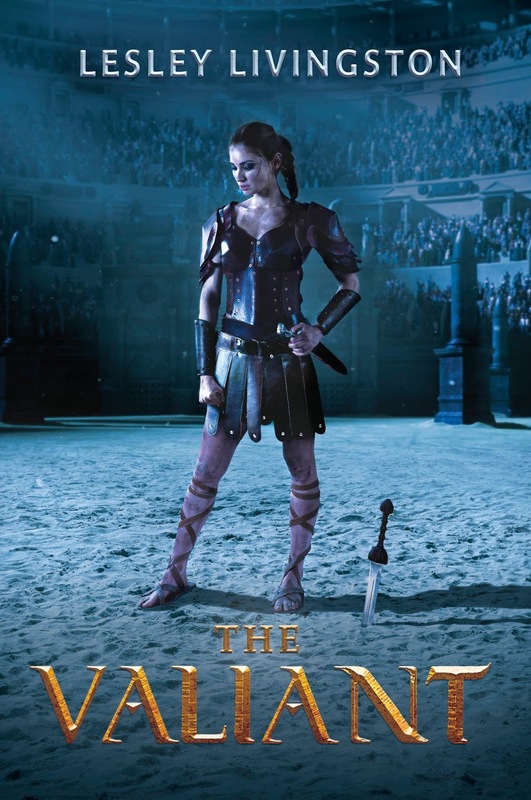 We learn what it really means to be a female gladiator during the time of the Roman Empire. We learn a lot about the Roman Empire as a society. Now as for the book I rated it a four out of five stars, and here are my reasons why? I felt like the majority of the book was much more focus on Fallon thoughts than actual dialogue between the characters. The book also at times contains way too much descriptive historical facts. I felt like sometimes you could not see a balance between history and the story of the characters. This book also packed a lot of information. Now on to what I loved about the book. The history of the book is something I did love at the same time found it too much. I love the fact that Fallon was so passionate about her beliefs. I love how well Caesar came off as a human being but still Caesar as a historical figure. I can tell that Lesley, really was into the research of the history, in this book which is amazing. I love how you can tell that Lesley really wrote this book for herself, more than for the world, which is something you want to see from an author. Lesley makes me want to read The Defiant right away, even though it's not available yet. I seriously love this book and I hope you all will want to read this book now. Seriously, guys, Check out this book, you will love it, if you love historical fiction. I can't wait for the second book. As of right now I only know of the two books but I am sure Lesley will write more for this series. As always I will have all of the links for the author and book listed below along with my social media. Also, I will have all of the other bloggers who reviewed this book for this blog tour listed below.